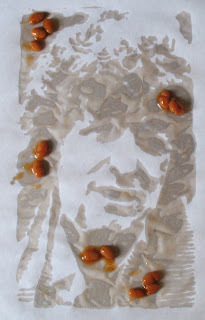 tom baker made from baked beans. i mistakenly thought that tom baker was one of leff's favorite doctors because of his curly hair. wrong. apparently, he was leff's "first doctor" and, well, you never forget your first doctor.